Aabde’s new Violet Proto-Drake. What a long, strange trip it’s been indeed! When I started WoW, the very first time I logged on it was the Fire Festival. I’ve always loved the seasonal events, and have great memories of sneaking into enemy areas or high level zones to burn bonfires. 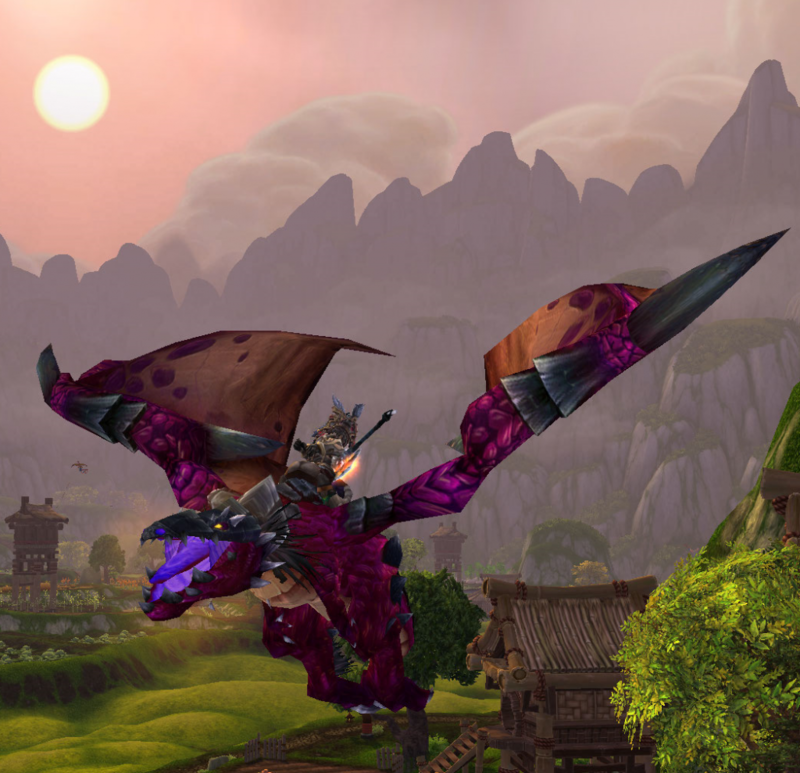 I’ve been after the What a Long, Strange Trip it’s Been meta-achievement for three years, to get my Violet Proto-Drake, but everyone who goes for the meta has to eventually face the facts: they will have to do the School of Hard Knocks achievement during Children’s Week. There’s plenty of qq about this achievement and it is by far the hardest thing in the entire meta to do. I won’t qq about it here. I will refer you to the excellent piece at WoW Insider which pretty much says it all, not to mention the discussion at the Wowhead entry (the latter which also has a lot of great tips). My aim here is to make a very quick, succinct guide about strategy for this achievement. There’s lots of strategy guide material out there, but here’s what worked for me. I hope it helps you, because despite the well-warranted qq, this IS achievable. It IS doable. Don’t be intimidated and don’t despair. If I could do it, so could you. Yes, there’s a lot of luck involved. But that’s how statistics and RNG work: keep trying and it will break in your favor. Keep trying. 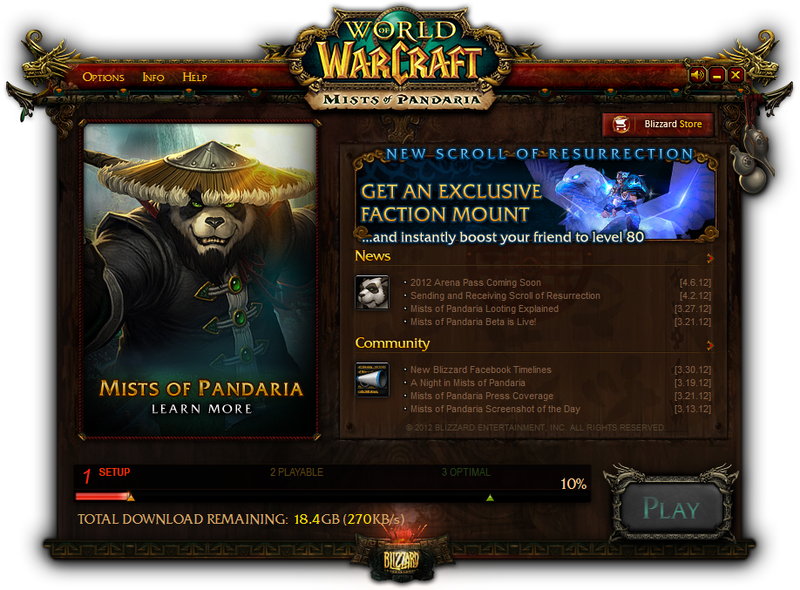 If not already, get to the level cap (90 as of Mists of Pandaria). Obtain a crafted PvP gear set. The latest ones as of today’s date are the iLvl 458 crafted blue sets. Use that link to figure out which set is appropriate for your class and spec, and then advertise on Trade for a blacksmith/tailor/leatherworker to make it for you or search the AH. Don’t bother with potions or food. You’re going to die. A lot. It’s just a waste of money. With that done, you are ready to enter the Battlegrounds! Thankfully this never happened to me, but many people go through all this trouble to do these PvP achieves, but forget to have their orphan out when they do it. This means they do NOT get credit for their hard work and luck! EVERY time you die – which will be often – your FIRST action should be to blow your whistle and call your orphan back. EVERY time. You can be mounted without losing your orphan. So call your orphan and then mount up. DON’T click the whistle if the orphan is out already – doing so will dismiss him/her! While waiting for the gates to open, summon your orphan and mount up. Ride in a straight line to the center of the map. Don’t worry about fall damage. There is a stone bridge in the middle where the flag will spawn. Run straight there and try to grab the flag. If someone else grabs it before you, stay there and wait; the flag will respawn as soon as they take the flag back to their base. If you are killed, run back to the center bridge and wait for the flag to respawn. While you are waiting, read all the updates about the battle scrolling past in chat. You need to know specifically when the flag is about to respawn, and what bases your side controls. Use the map to make sure you know where the controlled base is, so you know how to get there. As soon as you have the flag, RUN (do not mount up or you will drop the flag). You need to take it to one of the bases your side controls. Usually these are the two closest to your starting side, but not necessarily. someone picked it up and they are almost at their own base? then run back to the center bridge and wait for the flag to respawn. There’s a circular pile of rocks inside your base, just run towards that and the flag will automatically despawn and you’ll get your credit. IF you had your orphan out, that is. You cannot mount up while waiting for the BG to start, so summon your orphan and wait for the countdown. As soon as it hits zero, if you have an ability like Blink, Heroic Leap, Sprint or Dash, use it to give yourself some headstart. Pop that and then mount up. Ride towards the other end of the map, along the path. As you gain familiarity with the map on repeated tries, take whatever shortcuts you can to get to the other side ASAP. There is a central area called the Field of Strife. Stay to the right side of it or you will be smack in the middle of the opposing faction’s crowd and probably get killed. If you are Horde, you are aiming for the bunkers; if you are Alliance you are aiming for the towers. (I’ll refer to both as towers henceforth). Ignore the graveyards, outposts, huts, etc. 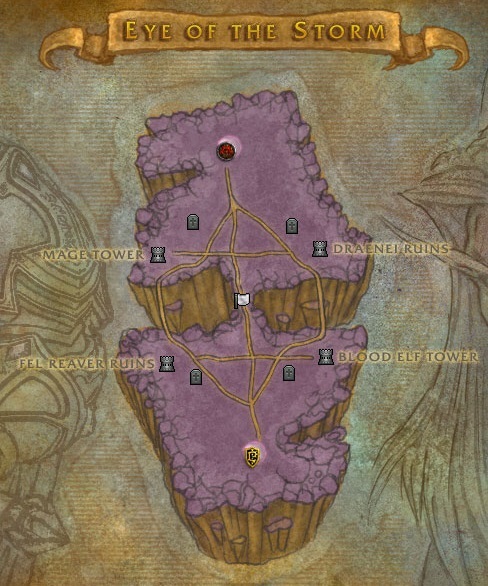 I suggest aiming for Tower Point if you are Alliance or Icewing Bunker if Horde, but keep in mind others with Orphans out will also be aiming for them too. If there are a lot of others in your group also trying for the achieve, then instead aim for one of West Tower and East Tower (if you are Alliance) or for North Bunker and South Bunker (if you are Horde). These are the furthest towers and you will have less competition. At the start of the game, all the towers on Horde side are Horde controlled and vice versa for Alliance. That will change as the battle progresses and towers are claimed. If you are killed, you will resurrect at the closest graveyard. Look at your map to see which towers on the opposing side remain controlled by the opposite faction and run there. Any towers that are destroyed are no longer usable for the achieve and you can ignore them. Run inside and run up the stairs to find the flag. Right-click on it to start the capture process, this takes a few seconds so if you can CC any NPCs around there will be less interruption. If there are a lot of enemy players there, you will probably get killed before you can capture. Better to wait for backup, let your teammates engage and then try to grab the flag in the melee. If the game just started though, there won’t be. You don’t need to carry the flag anywhere. Once you complete the capture, you will get credit for the completion. IF you had your orphan out, that is. As soon as they open, ride in a straight line to the first base and visible flag directly ahead of you (Stables for Alliance, Farm for Horde). Get there and right click the flag as fast as you can. Capturing the flag will take a few seconds. If someone else gets it before you, then run to the next available non-controlled spot (check your map) and try to capture that one. 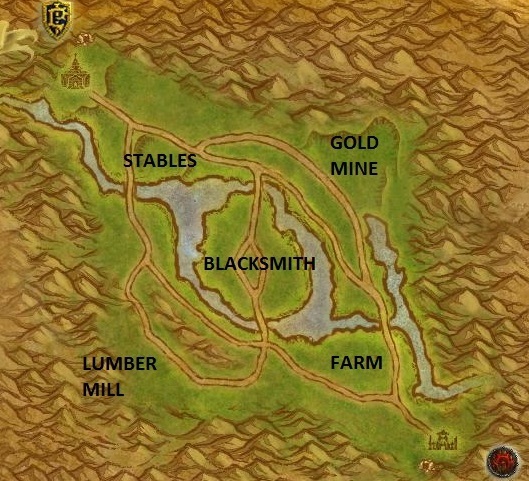 If there are a lot of people with orphans out, skip Stables/Farm and go for Gold Mine (if Alliance) or Lumber Mill (Horde) instead. If you are killed, you will resurrect at the nearest graveyard controlled by your faction. Summon your orphan and check the map. It’s unlikely there are any uncontrolled spots by this time, so you’ll have to go find one controlled by the opposite faction and try to take it from them. Try to spy from afar how many defenders there are and pick the least-defended target possible. It’s far more likely you’ll have to fight for this one. So stay in the fight and keep at it. Unlike the others, your achievement goal here actually coincides exactly with the goal of winning the BG, so be a team player. As with Alterac, once you succeed you will get completion. IF you had your orphan out, that is. Unlike the other BGs, you need to know your starting area very well rather than the map. 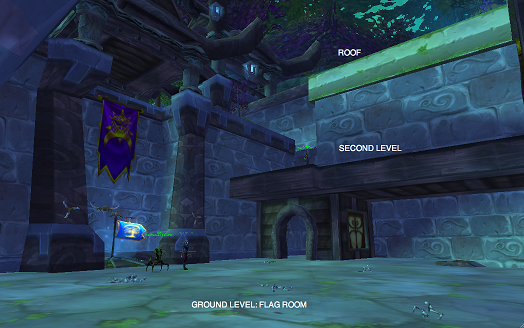 Look carefully at the image of teh Alliance flag room above; the Horde room is laid out identically. Your first time in WSG you may want to not even bother trying for the achievement, instead just familiarizing yourself with the layout of the room and where the entrances to each area are. While waiting for the BG to start, summon your orphan and wait for the countdown. As soon as the gate opens, run up the ramp on your left to the second level of the flag room so you have a view overlooking your own side’s flag from above. When the opposing faction arrive to take the flag, they will most likely arrive either above you (the roof area) or the ground level (via the long tunnel entrance). Do not try to stop them from picking up the flag – the flag needs to be in the enemy’s possession first for the achieve to count. Once they have the flag, jump down from above and focus all your fire on the flag carrier. They will probably have friends with them for defense; ignore them and focus on taking the carrier down. If you die, you will resurrect at the single graveyard on your side. Summon your orphan and run immediately to the long tunnel entrance to intercept the flag carrier who will use that exit 99% of the time. Attack and focus again on just the carrier. Once the carrier dies, they will drop the flag and you can pick it up to get credit for completion. IF you have your orphan out, that is. What about the rest of WaLSTiB? If you are just getting started on What a Long, Strange Trip it’s Been, you may be feeling a trifle bit overwhelmed. But even though they removed the free 310 flying reward, it’s still the best way to get yourself a rare proto-drake mount, far more interesting and less grinding than getting the various raid meta-achievements. If I had to start from scratch, the best option is to use Zygor’s Professions and Achievements addon (affiliate link). If I had this when I first started, I would likely have finished the meta achievement a full year earlier and gotten my 310 flying, so I regret not getting the help. There’s no better way to keep all the various achievement steps and goals organized than this – it will literally save you days of work. (That’s just for the Professions and Achievements guide, of course. There is also a fantastic Zygor guide for leveling which I highly recommend). Finally, also do check out Cynwise’s guide to School of Hard Knocks as well. Very detailed guide with a lot more depth on strategy for Warsong Gulch in particular. In anticipation of MoP I’m trying to build up an alt army, mainly for professions support of my main, Aabde (mining/blacksmithing). I’ve got Ppeeta, a lvl 10 gnome mage herbalist/inscription, Mmarko, a lvl 20 worgen hunter jewelcrafter/enchanter, and Zzamba, a lvl 30 nelf druid skinner/leatherworker. Those guys are all in the queue, but I’ve mainly been focusing on Gganda, my dwarf rogue engineer/tailor who just reached 71. And of course I will have a Panda monk to add to the mix, I’ll probably just go mining/herbing for him to act as gatherer support. There are other guides out there, but it looks like Zygor is the leader of the pack. Give it a shot! 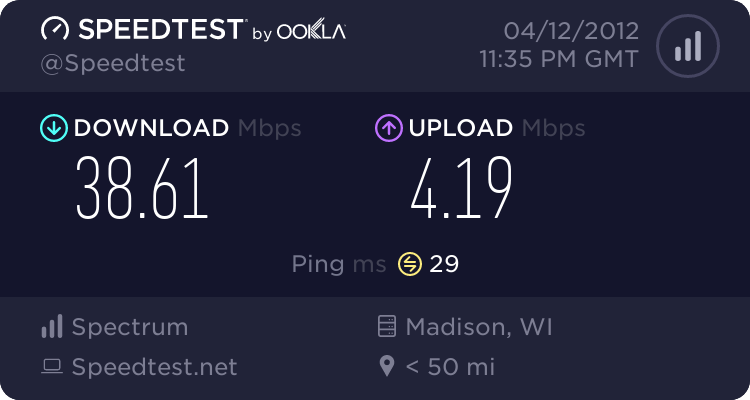 I’ve just upgraded to the 30 MB/s internet plan at Charter cable (and added HBO so we can watch Game of Thrones), so here’s the obligatory speedtest results. 1 GB refers to a gigabyte (10^9 bytes) in this context, since we are talking about file sizes and network speeds. If we were talking about RAM, a GB would actually refer to a gibibyte. However, 1 Mb is a megabit (10^6 bits), not a megabyte (10^6 bytes), because of the small-case b. So 1 Mb is actually 1/8 MB (since there are 8 bits per byte). Wolfram Alpha gets the answer right, too (and I like teh natural language query – very intuitive). Now, suppose I’m rocking 300 KB/s according to a certain beta software download client. How am I really doing? The capital B means it is kilobytes, so that’s actually 300 x 10^3 x 8 = 2400 x 10^3 = 2400000 = 2.4 Mbps. Wait, what?? I’m only getting 1/10th my actual download speed for this?? This is why it’s important to do the math. Of course, the download speed may be limited by a lot of other factors, most notably how fast the server at the other end can deliver the data. I clocked almost 40 Mbps doing a speedtest with some local, low-ping server somewhere, but for downloading this big file I’m probably going a lot further and their server has a lot more to do than humor my ping requests. I guess I should be satisfied. I’m awaiting my Pandaland beta invite. 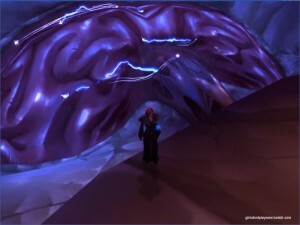 Researchers from North Carolina State University have found that playing WoW actually boosted cognitive functioning for older adults â€“ particularly those adults who had scored poorly on cognitive ability tests before playing the game. Researchers from NC Stateâ€™s Gains Through Gaming laboratory first tested the cognitive functioning of study participants, aged 60 to 77, to set a baseline. The researchers looked at cognitive abilities including spatial ability, memory and how well participants could focus their attention. More information on the study here and here’s a link to the actual study at Science Direct. This is unsurprising, because WoW’s complexity really scales with the player. You can easily access the game as a total noob but if you’re a diehard theorycrafter you cam minmax your way into elitist heaven. And there’s an entire social layer on top of that – you can play the game solo if you prefer, but from guilds to PUGs to PVP there’s plenty of actual human interaction that forces teamwork, competition, etc. There’s even a free market economy and the occasional plague. I think that the cognitive benefits for people with higher baseline are going to be more subtle, but like the Nintendo Wii I think that there’s an argument to be made for WoW in particular to become part of the therapists’ arsenal. newbie 80 warrior… what next? Now here’s my dilemma. I’ve been working my way through Northrend, and hit 80 while finishing off Grizzly Hills. Now, do I continue the questlines in nrend or do i just go straight to the new cata zones? If you’ve done the run to 80 before you shouldn’t do every quest in the zone; only the ones that will help you later. Do Howling Fjord first, do the initial zone quests up to the ones that unlock the Utgarde Keep dungeon quests. Then do the Ka’luak quests in full. Do Borean Tundra. Do Coldarra in its entirety to unlock the Nexus dungeon quests. Do Ka’luak quests until you get to Revered (or close to it, there’s easier ones in Dragonblight), and do the quests that lead up to and include finishing Temple City of Enkil’ah. Run Utgarde Keep and Nexus at least once WITH the dungeon quests. Do the majority of Dragonblight. The Goblin quests in the north area are optional, but nearly all the quests are important for something (Kirin Tor, Wyrmrest Accord, Ka’luak, Wrathgate). By the time you do all those you should be Honored with Kirin Tor and Wyrmrest Accord, and Revered with Ka’luak. When you hit Lv.76 go to the Ka’luak vendor and buy a blue chest, and go back to the vendors for all three when you hit Lv. 78. After that I recommend skipping Grizzly Hills and Sholozar Basin and hit Zul’drak for the Argent Crusade and Ebon Blade rep, both of which are in the lower areas. You could optionally unlock the Drak’Theron keep quests in Grizzly Hills, and probably a good idea to do the same for the flight point in Sholozar. If you intend to do Frenzyheart or Oracles, then stop by in Sholozar. Once you hit Lv.77 go directly to Icecrown and do the quests to unlock Crusader Pinnacle and Shadow Vault, and start up the Argent Tournament quests. Then if you think you need shoulder enchants later go to Storm Peaks and do the entire Sons of Hodir questline, but only that. By then you should have enough dailies unlocked to not have to worry about anything else. However, as the level cap is 85 these wont be as much of a gold bonanza – instead i could go straight to Hyjal, finish the zone, and then go do Firelands dailies for epic gear and better flying mounts. And then I can always return to northrend to finish off the Lich King. Author Otaku-kunPosted on August 3, 2011 August 3, 2011 Categories GamesTags World of Warcraft6 Comments on newbie 80 warrior… what next?